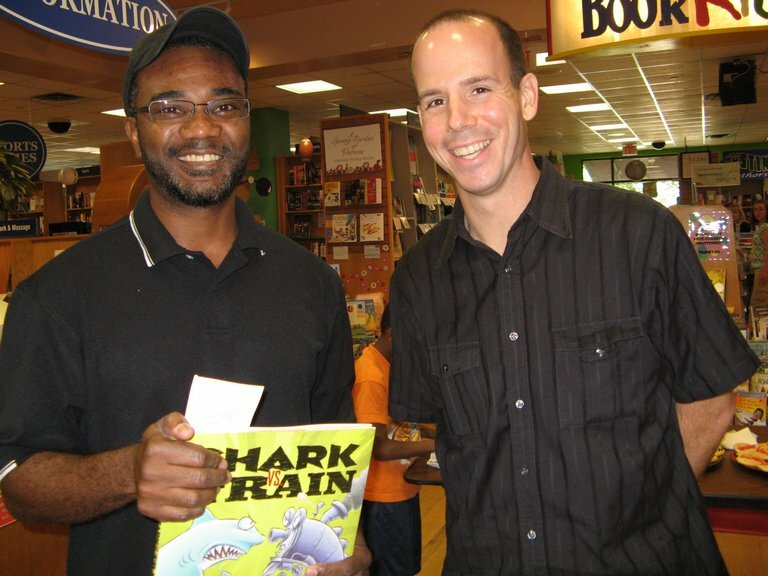 Author Chris Barton celebrated the release Shark v. Train, illustrated by Tom Lichtenheld (Little Brown, 2010) April 24 at BookPeople in Austin. 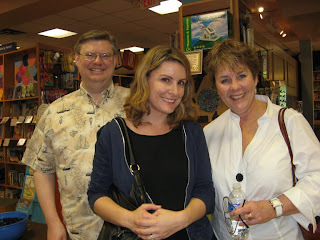 Former Austin SCBWI RA Tim Crow, YA author Mari Mancusi (newly relocated to Austin! ), and current Austin SCBWI RA Debbie Gonzales. 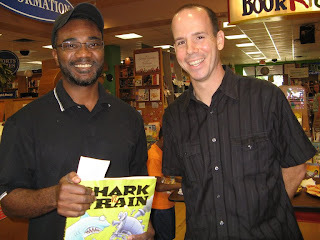 Author-illustrator Don Tate with man-of-the-hour Chris. 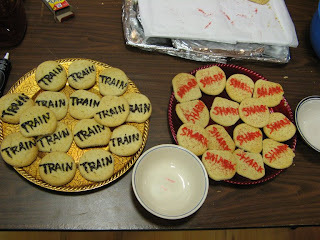 You could have a cookie in support of Train, Shark, or both! Afterward, authors Jennifer Ziegler, Mari, Mark Mitchell, Jo Whittemore, and Greg Leitich Smith. 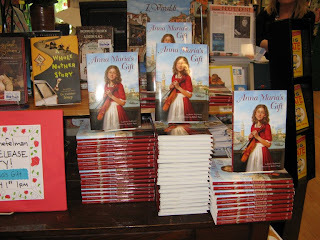 Last Sunday, Greg and I attended the launch of Anna Maria's Gift by Austin author Janice Shefelman, illustrated by Robert Papp (Random House, 2010). 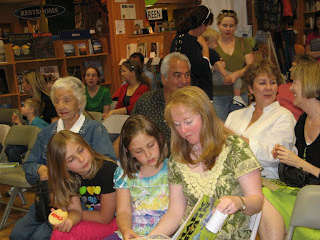 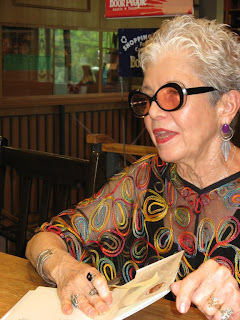 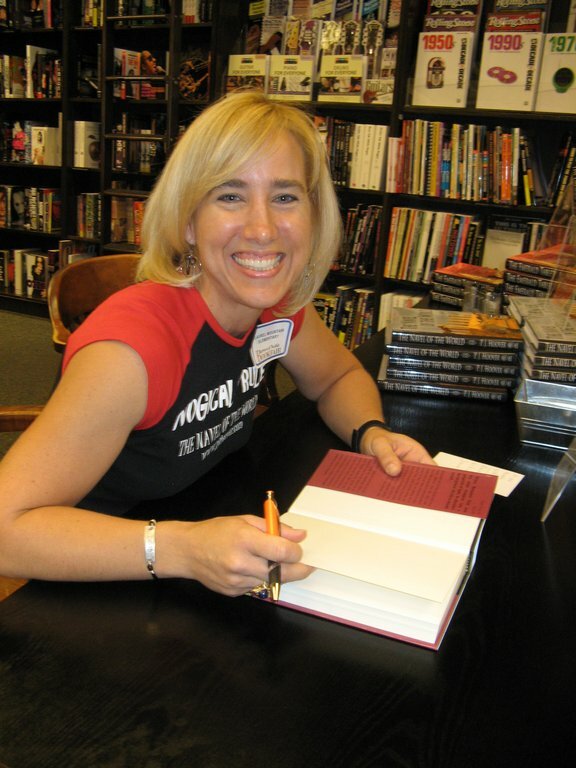 The event was held May 1 at BookPeople. 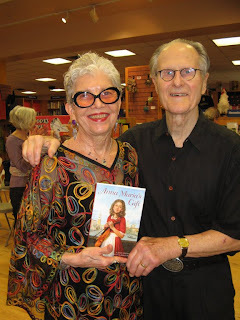 Janice shows off her new book, standing with her husband, children's book illustrator Tom Shefelman. 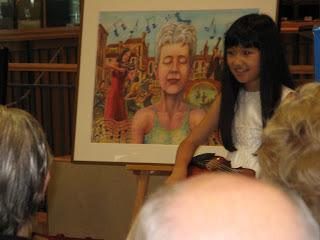 A young violinist accompanied Janice in her presentation. 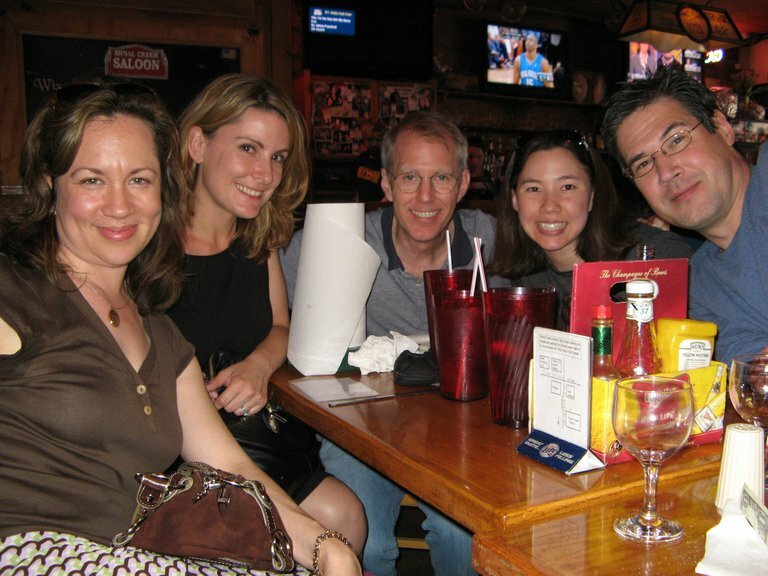 Notice Tom's painting in the background. From there, we went to P.J. 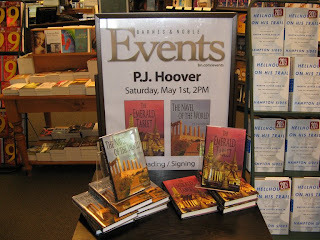 Hoover's signing at the Barnes & Noble Arboretum. 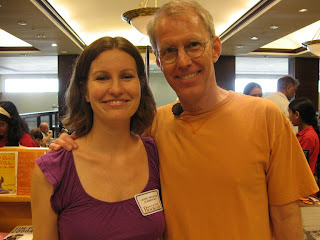 Author Jessica Lee Anderson with Mark.